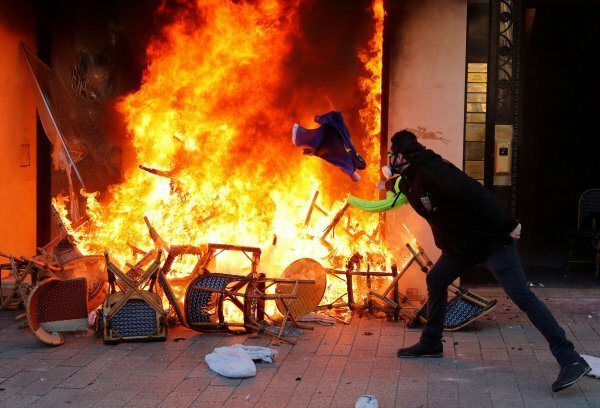 Emmanuel Macron went on to a skiing trip in the Pyrenees while 'Yellow Vests' protesters trashed shops and torched cars in the heart of Paris. 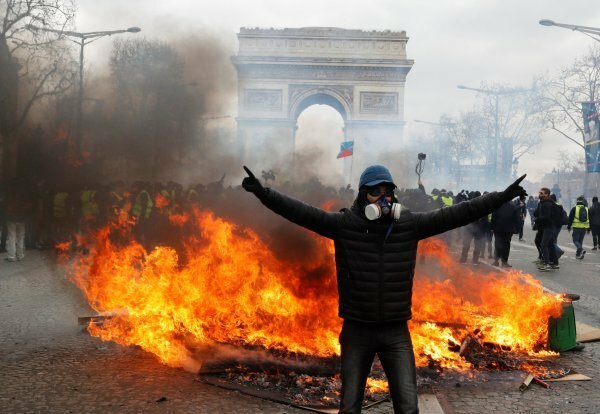 Macron went on to a skiing holiday as an 18th consecutive Saturday of demonstrations by the Yellow Vests turned into chaos on the Champs-Elysées. 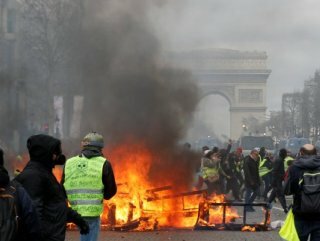 Demonstrators in Paris fought with police and set several stores alight on Saturday, as yellow vest organizers sought to breathe new life into a movement that has rocked the administration of French President Emmanuel Macron. Fires were started in nearby streets, with at least one car erupting in flames. The fire department said two people had to be rescued and eleven people suffered minor injuries. High-end restaurant Fouquet’s, a popular eatery amongst politicians and celebrities, was ransacked by protesters who overturned chairs, tables and smashed the windows. 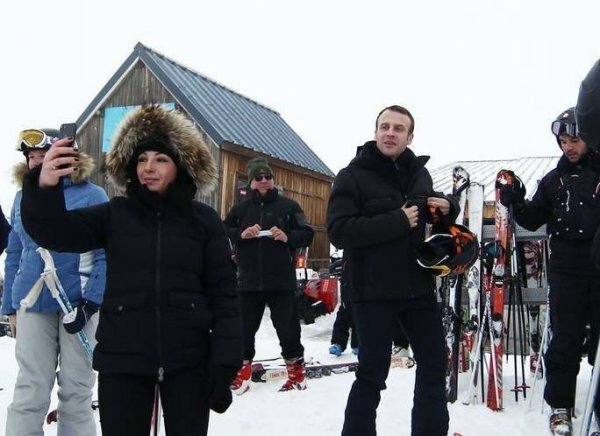 After the violent acts, Macron “was forced to cut short” his skiing holiday to return to Paris. French President is now due to hold an emergency meeting at the interior ministry, his office said.